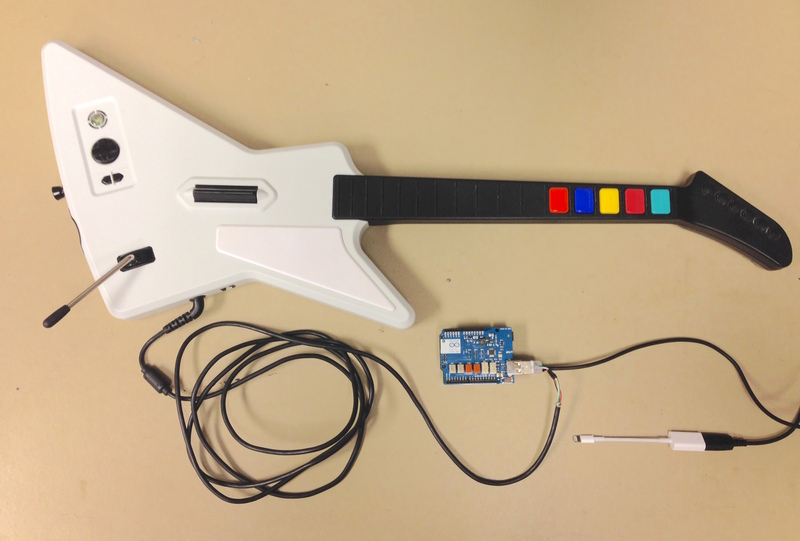 Guitar hero as -standalone- MIDI device! Works on iPhone! The world has seen some versions of the guitar hero controller used for live music. Most versions included a MAX/MSP patch or other software running on a computer. In this retro-interface I’m looking at a different option, connecting the guitar as standalone USB MIDI device, so it can be connected to iphone directly!